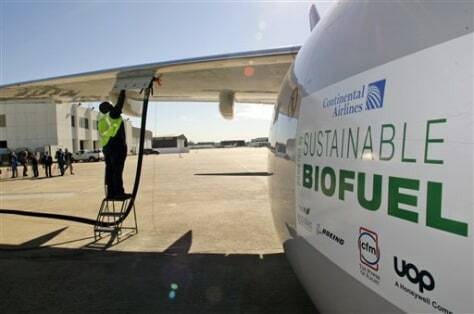 Home Uncategorized Why aren’t all commercial flights powered by sustainable fuel? It is not from lack of choice. The mix used in the Virgin Atlantic flight was ruled out for future flights because of the limited supply of babassu nuts and the harmful effects of diverting potential food to fuel. But scientists have since learned to mimic jet fuel using materials such as switchgrass, wood residue, municipal waste and even grease from restaurants and sewers. On any given day planes whizz across the oceans partly powered by fuel made from agricultural waste (United), carinata seeds (Qantas), forest waste (Norwegian) or used cooking oil (KLM). 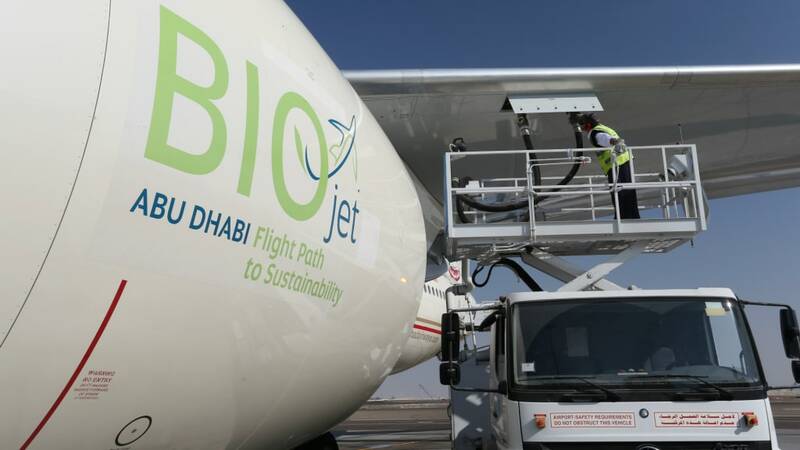 Two airports—Los Angeles and Oslo—include biofuels in their regular fuelling process. Airlines reckon alternative fuels will help them keep their collective promise to cut net carbon-dioxide emissions to half of their 2005 levels by 2050. Price and policy stand in the way, however. Biofuels are between two and three times more expensive than conventional jet fuel because they are produced in small batches and because the oil price has dropped a long way in the past decade. The price gap would narrow if production increased. 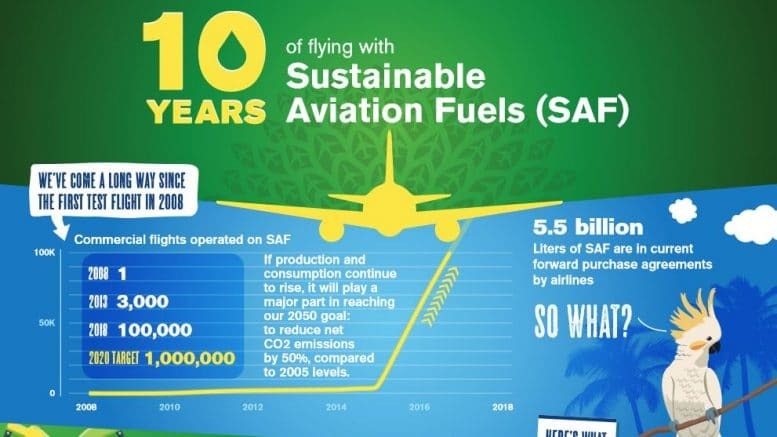 But for that to happen there must be global agreement on technical standards, to ensure new fuels can safely keep a plane aloft, and on sustainability standards, to ensure those fuels are better for the planet than the petroleum-based product they replace. Given that aviation is a global industry, the players must also agree on such things as who gets the credit for emissions reductions when a flight starts in one country and ends in another. Technical standards are the easier part. Those set by ASTM International, a not-for-profit organisation, are widely accepted in the industry. Even so, it can take years for ASTM to certify the process to be used for each different feedstock, and more feedstocks are being tried all the time. Sustainability is more complicated still. Measuring the carbon emissions of a new fuel is a given. But should its impact on deforestation, labour rights, food security and protecting biodiversity also be included? National and even regional rules on how to measure sustainability exist in places like America and the European Union, and the European Roundtable on Sustainable Biomaterials, an independent group that certifies biofuels, also sets standards. What is missing is a global standard that would permit planes to pick up fuel certified as sustainable in airports all over the world. The 192 member states of the International Civil Aviation Organisation, a UN agency, are trying to sort out sustainability measures before they start a carbon-offsetting and -reduction scheme for aviation in 2021. Sustainability rules are part of a broader package that ICAO members will vote on in June. But even with that progress, biofuels are unlikely to reach 10% of fuel use within the next seven years, reckons Robert Boyd of IATA, an airline lobby group. And it will take even longer for Sir Richard’s vision to be fully recognised.